Welcome to this fabulous two-story home in The Farm, a coveted neighborhood located in award winning Cherry Creek School District. Beautifully upgraded kitchen featuring granite countertops, custom glass tile back splash, stainless steel appliances and breakfast nook. Kitchen and family room adjoin for open plan living creating the perfect atmosphere for entertaining. Family room features valued ceilings, fireplace and surround sound prewire. Large main level laundry room with lots of cabinet storage. Spacious master bedroom with vaulted ceilings, bay window and lovely retreat. Custom plantation shutters combined with designer flooring finish off this the amazing home! 3 car garage, new hot water heater, radon mitigation system. Walking distance to neighborhood parks and schools. Close to Trails Recreation Center and Cherry Creek State Park. 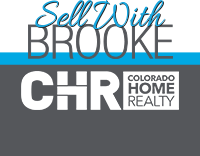 Easy access to DIA, DTC, Arapahoe Crossing, Cornerstar Shopping Center and nearby Southlands Mall.